Every time you communicate, you're doing it for a reason: you want someone to understand something, do something, or change something. You're trying to make a point. But the only way to make a point is to have a point-and the surprising truth is that very few communicators have one. 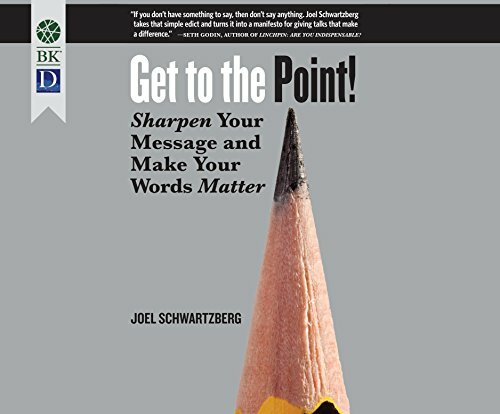 In this concise and practical book, Joel Schwartzberg draws on his decades of experience as both a professional public-presentation coach and a strategic communication professional to train you how to identify your point, elevate it, stick to it, and sell it. His point-making insights apply to communications of all kinds, including speeches, emails, PowerPoint presentations, staff meetings, conference panels, and performance reviews. Schwartzberg's fresh approach also conquers common communication challenges like rambling, irrelevance, uptalk, slow starts, and the debilitating fear of presenting in public. He shows you how to go from simply sharing a thought to making a difference.